A great event for all Dragon Scouts whom had participated in to enjoy and feel proud of being in this youth organisation ! It is definitely great to see all brother and sister scouts coming together to celebrate 100 years of Singapore Scouting and not only that to share our culture! Do take a look in our gallery for all the fun we had !!! Dragon Scouts 88 and still kicking !!! 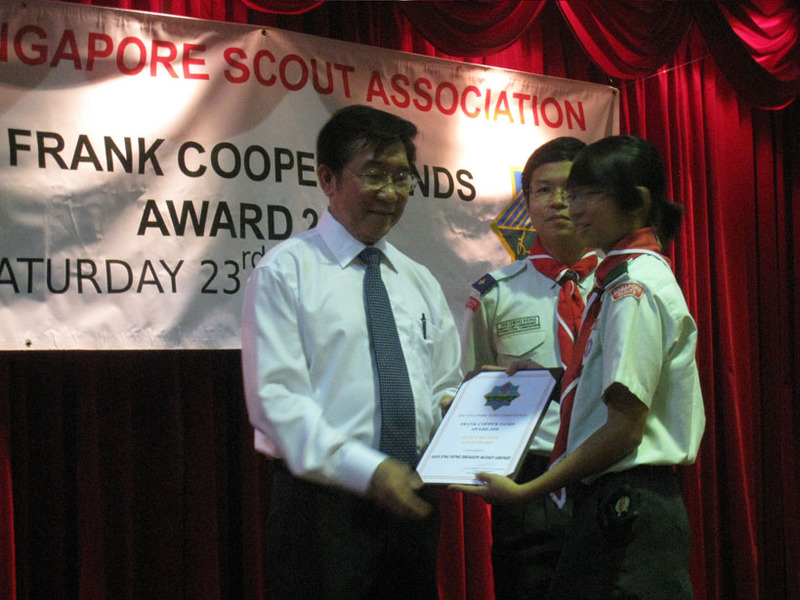 27 Nov 2010 marked the day when the Dragons celebrate 88 years of Dragon Scouting ! Catch us on the gallery to take a peek at our celebration ! Dragon Scouts 88 and still kicking !!!! We achieved a GOLD for Frank Cooper Sands Award 2008 ! Good job to all Scouts, Ventures, Rovers and Leaders who had contributed to the success ! In addition we are glad to inform all that our cub scouts from Radin Mas achieved a Gold too ! Congratulation, Radin Mas Dragon Cubs !!!! Amanda receiving the award from G.O.H. Mabel receiving the award from G.O.H. 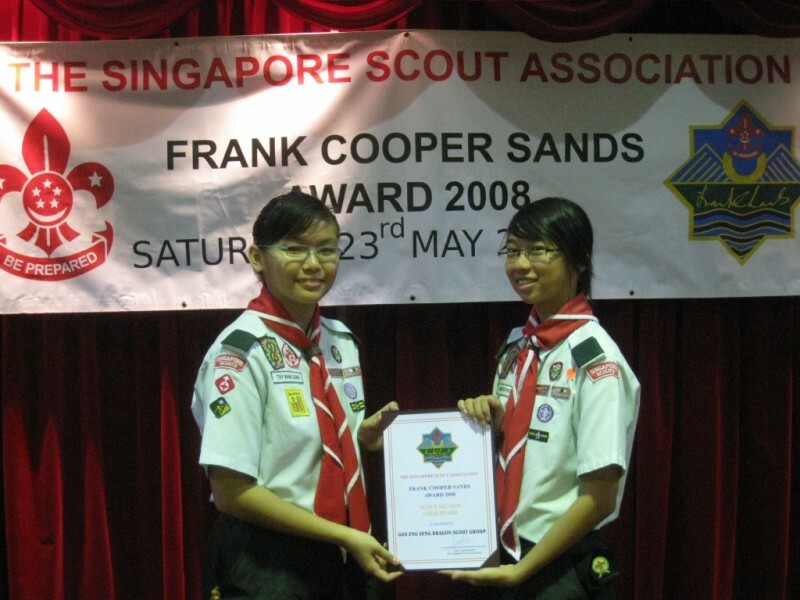 Wan Juan and Amanda presenting to you - The Frank Cooper Sands (GOLD) 2008! Ventures and Rovers, please note the email that was circulated to you via the mailing list. Attachment mentioned can be found in the email. Registration Fees: SGD 70.00 (includes accommodation, meals, materials, field trips and transport). For those interested but with financial difficulties, please kindly indicate so that something can be worked out. Things to Bring: Clothing, toiletries, personal medication, torchlight or headlamp, sleeping bag, booties (diving boots or any tight-fitting shoes or shoes with lace – for field trip purpose and will get dirty), writing materials, notebook/laptop (optional) and any other necessities. 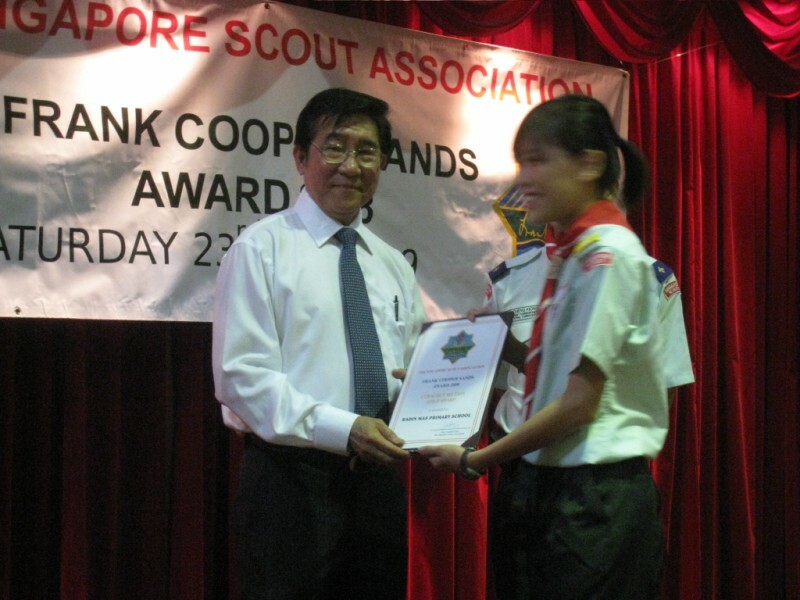 Submission of Application: All applications must be submitted to the Singapore Scout Association (SSA) HQ not later than 5pm on 29th November 2008, accompanied with the registration form and fees. Limited vacancies. Attachment enclosed for your reference. We are looking forward to your active participation in this workshop! Should there be any enquiry, please contact Peter Goh / Tan SiJie, Programme Executive / Organising Committee at 62592858. Resources for rovers has been updated too. Please check resources page for more information. Most part of the website is complete except the Resources. The Resources page is building up bit by bit but we will appreciate any additional contributions from anyone. I have also incorporated some non-intrusive text ads on the website, hoping to generate some income/donation to off-set the hosting fees. While the sum is not huge, the intention is to allow Dragon Online! to be self-sustainable if possible. Edit: Do try to help click on the ads once in a while as it helps the website to generate income, but don’t click more than once a day =) Thanks! Greetings from The Singapore Scout Association! The National Scout Organization of Thailand would be organising the 18th National Rover Moot in Thailand from 22 – 26 October 2008 at Developments Center for Students and Personnel, Tanodluang, Cha-am district, Petchaburi province, on the beautiful beach in Southern Thailand.